Unzen hot springs became known as a summer retreat among foreign tourists in 1889, when the North China Daily News, issued in Shanghai, published an introductory article on Unzen hot springs. Since then, the number of foreign families who spend the summer at Unzen as a summer retreat have increased. As Unzen hot springs became more famous overseas, for westerners stationed in Shanghai, it became the resort and summer retreat destination of choice. Afterward, as the Shanghai-Nagasaki sea route was opened, the number of visiting foreign tourists increased, and over the summer, visitors stayed from between 2 weeks to a month at Unzen. 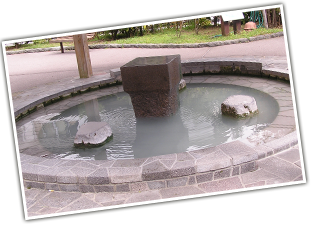 During their stay, they hiked the mountains of Unzen, enjoyed ballroom dancing, and at night, rinsed off in the hot springs. 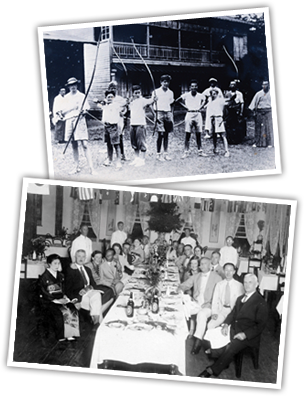 Furthermore, in 1913, golf courses and tennis courts were developed, providing even more options for entertainment. Beginning with the Unzen Jigoku, Unzen's most famous tourist attraction, there are lots of spots to enjoy nature, such as the Nitta pass ropeway. See, play, and enjoy Unzen and it's abundant nature! Enjoy Unzen with the model course. We have a course perfect for enjoying with friends. We'll introduce the Unzen model course, recommended by the proprietress herself! At the mountain information center, you can learn about Unzen's history and nature. First off, come here to learn about Unzen! 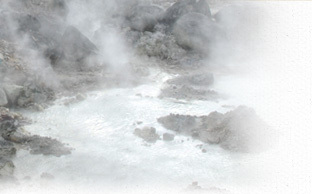 The main spot of Unzen is the “Jigoku,” with billowing steam and rocks. Also the stage for Christian martyrdom, and home to the Machiko iwa, made famous in “Kimi no Na wa”. It's also nice to spend a moment with the hot springs egg lady. By dipping your feet in the water, this marvelous foot bath improves your bloodstream, easing fatigue in your feet, but also stiff necks as well. It's also nice to communicate with the locals and other travelers, too. Finally, the hot springs. There are also reasonable communal bathhouses that you can enjoy as a day trip. 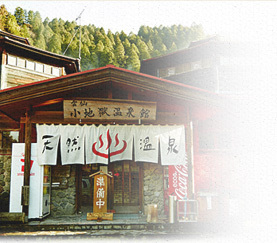 For accommodation, relax and ease your travel fatigue at Unzen's inns and hotels. All inns welcome you with cuisines to match the four season, and boast baths with plenty of water.